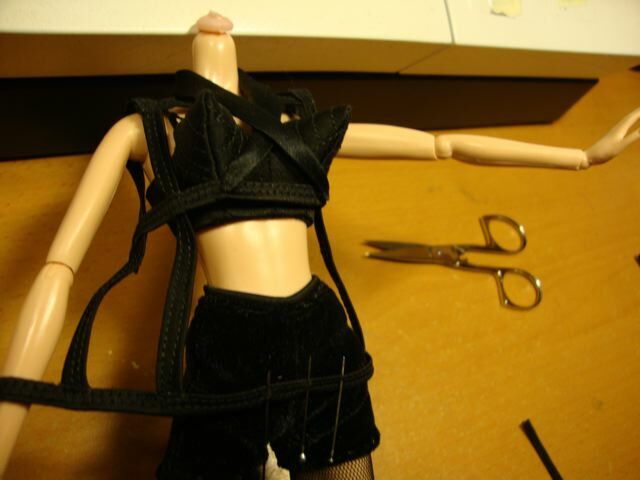 Folloing our famous OOAK Madonna dolls, here is brand new doll inspired to one of them ost iconic dress from the 1990 Blond Ambition Tour, with her hairstyle ponytail from the American leg of the tour. 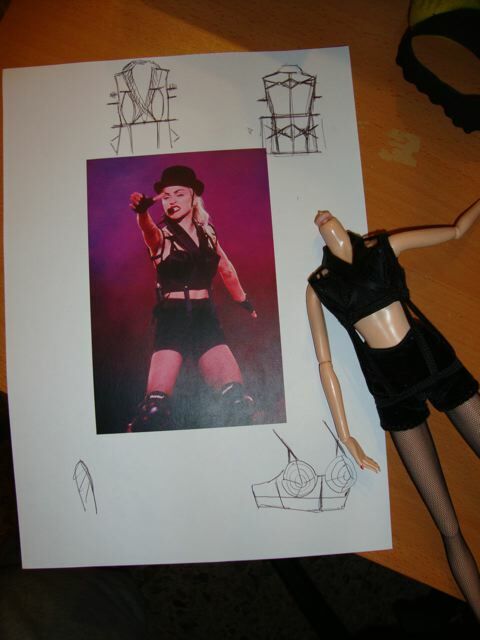 She wears a replica of the Jean Paul Gaultier corset with cone bra in black satin and black stretch velvet shorts. Intricated rope corset with jacket cosnstruction and microphone holder on the back. Several criss cross with the same patterne of the original dress. She also wears net stockings with knee protectors and black sort boots and black sprto gloves. 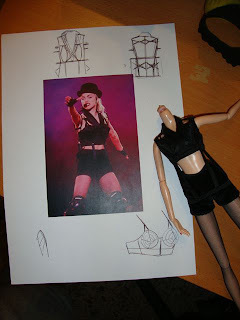 Of course she also wears her iconic head-microphone and a black flocked jazz cabaret hat. The set is completed by a cabaret chair.